A quick & easy way to deliver concentrated doses of hydration & active ingredients into skin. Coony Essence Sheet Masks keep your skin clean, refreshed and hydrated. 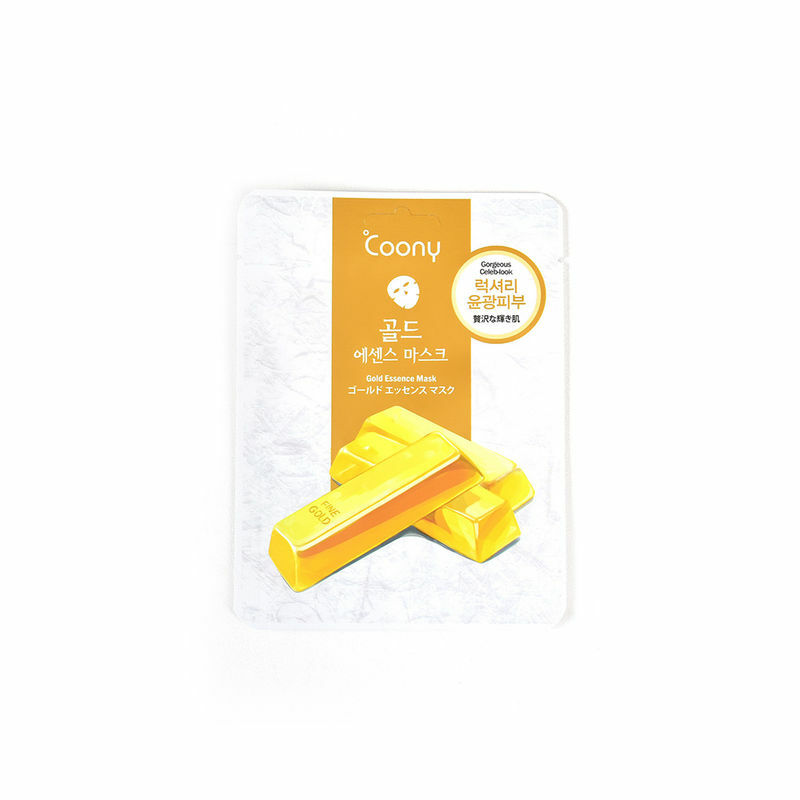 Coony Gold Essence Mask is a firming & revitalizing facial sheet mask. It is formulated to detoxify your skin and make it look clean and healthy. The gold extracts eliminate harmful waste from skin. It delivers rich moisture to skin prone to dryness. Blended with Aloe Vera Leaf Juice to calm & soothe skin irritation. Skin appears firmer, softer, brighter & healthier looking. It is free of mineral oil, artificial pigment & fragrance. Additional Information: Coony is a sheet mask line popular in Korea. With concentrated active ingredients and skin moisturising serum, these sheet masks keep your skin radiant and glowing. You get the glow of an intensive facial treatment in a little packet that you can take just about anywhere. Explore the entire range of Sheet Masks available on Nykaa. Shop more Coony products here.You can browse through the complete world of Coony Sheet Masks .